When a serious legal problem or crisis arises, Ungar Law Office provides hands-on guidance to executives, managers and boards across a variety of industries to contain crises and enhance strategic decision-making. Ungar Law Office represents clients in the highly regulated gaming, lottery, and the burgeoning sports betting industries. Ungar Law Office has extensive experience in conducting and responding to internal, corporate, and government investigations, representing individuals and organizations. Ungar Law Office represents tribal governments, economic development entities, and tribal gaming operations on a wide variety of issues. Ungar Law Office represents licensed professionals before regulatory boards and licensing agencies. Ungar Law Office represents persons and companies before State and Federal regulatory agencies and also those involved in IRS audits or civil investigations. Ungar Law Office defends clients accused of felonies and misdemeanors (person crimes, property crimes, and other offenses). Ungar Law Office represents crime victims, protecting their rights to the fullest extent possible. Ungar Law Office has extensive experience defending persons accused of financial fraud, securities violations, healthcare fraud, and public corruption. For nearly 40 years, Steven Ungar has represented individuals and companies, in governmental investigations and prosecutions, as well as corporate investigations. He specializes in defending those accused of white collar crimes such as RICO, tax evasion, securities fraud and regulatory offenses. Steven is also the go-to lawyer for advising Native American tribes facing regulation of their internal affairs. 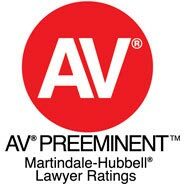 While at home in high profile cases, focusing on crisis management, Steven is equally adept at behind-the-scenes defense strategies, and if preferred, avoiding the front-page. Steven was appointed by two Governors to serve as Chairman of the Oregon Lottery Commission, from 2005 to 2012. He was General Counsel to a prominent public company in the software, gaming and lottery industries. Steven guides the diverse and talented team at Ungar Law Office LLC, to reach the best results possible for its clients. 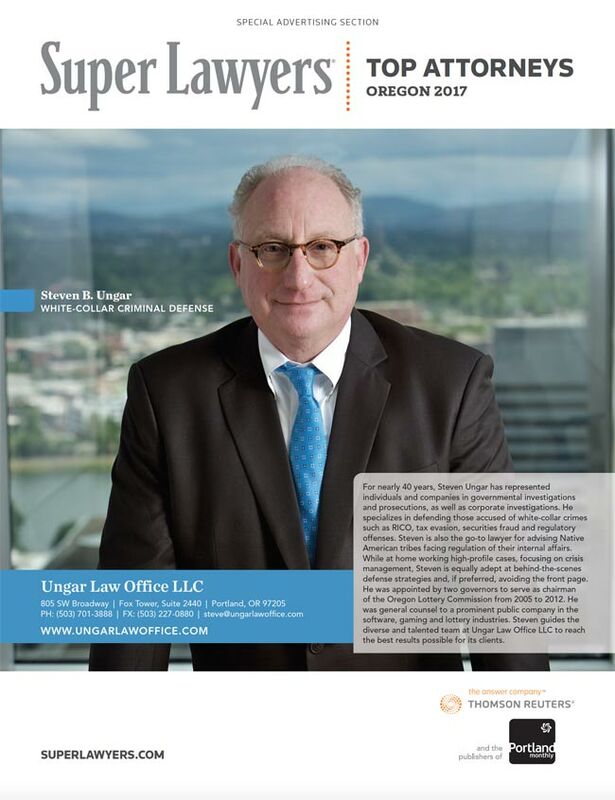 Since moving to Oregon 20 years ago, Steve Ungar has been one of the Northwest’s go-to lawyers, consistently recognized as a first-tier choice for businesses and individuals facing complex legal problems.